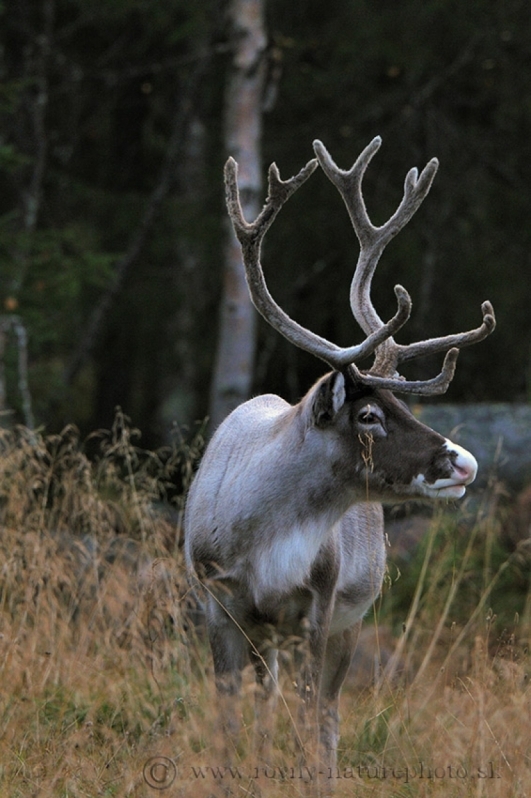 And there is October with fantastic colors. 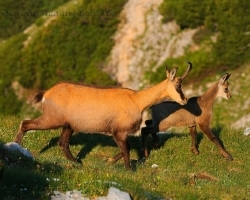 Golden meadows and red forests. 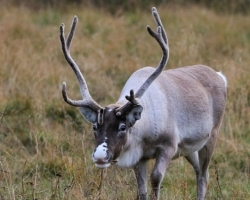 Faded deep bass voices of red deer and share with voices of falow deer. 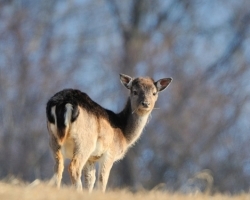 Majestic Red Dear directly raise in love through the golden autumn meadows. 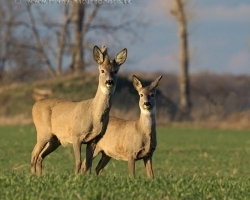 Only from dusk carefully watch red dear boys on race of their fathers love vavor of red dear ladies love. 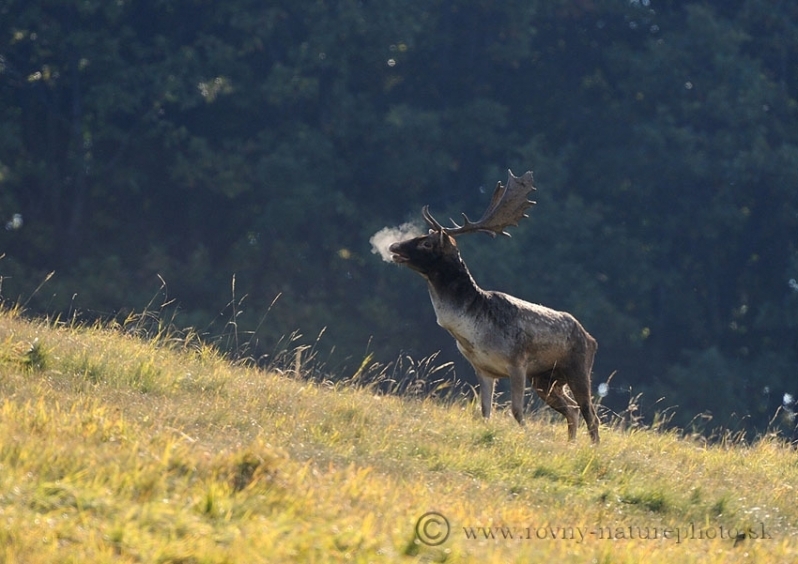 Gracefully float on the wings of love crowned and his chosen. 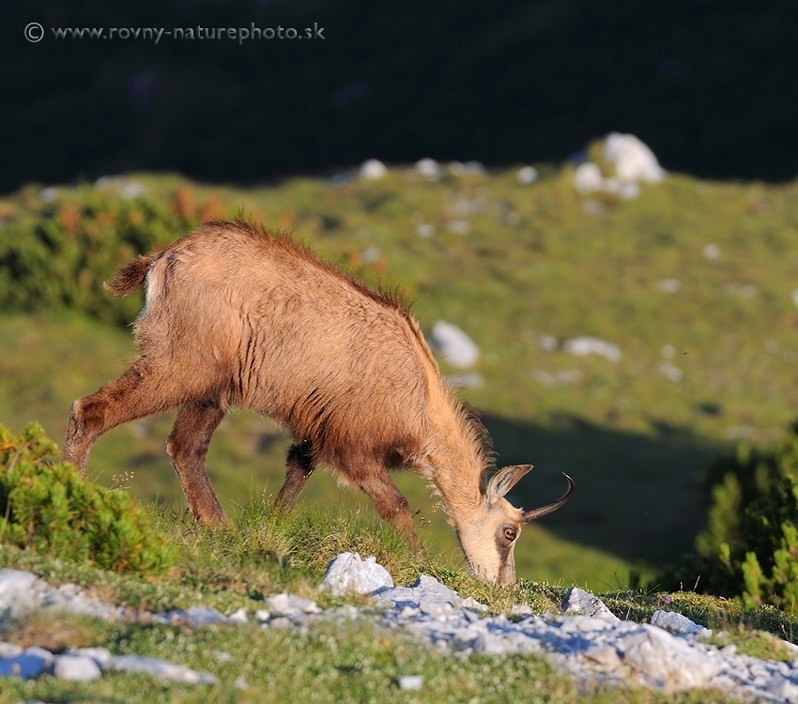 Peace reigned on the small steep cliffs meadow. Chamois mother have only sleepily supervise your cubs. 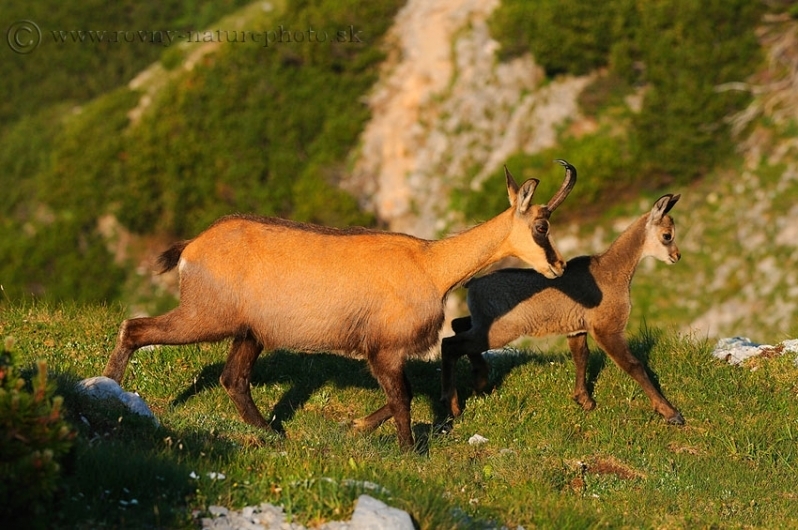 How plush toys are the two small chamois cubs. 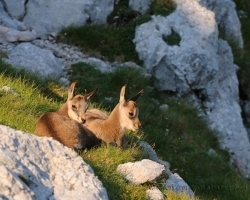 Morning room on a rocky projection alpine meadows. 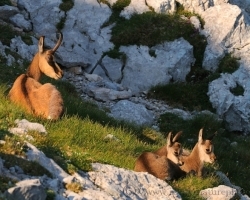 Chamois mother be heated with her cubs in the first warm rays after a cold spring night. 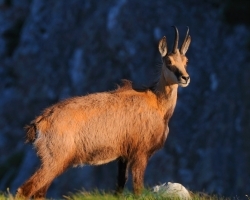 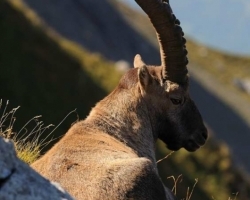 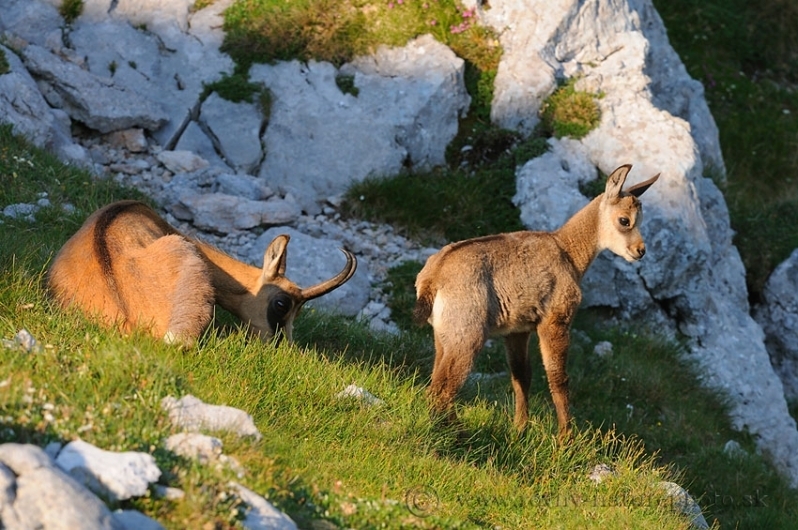 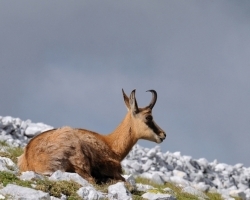 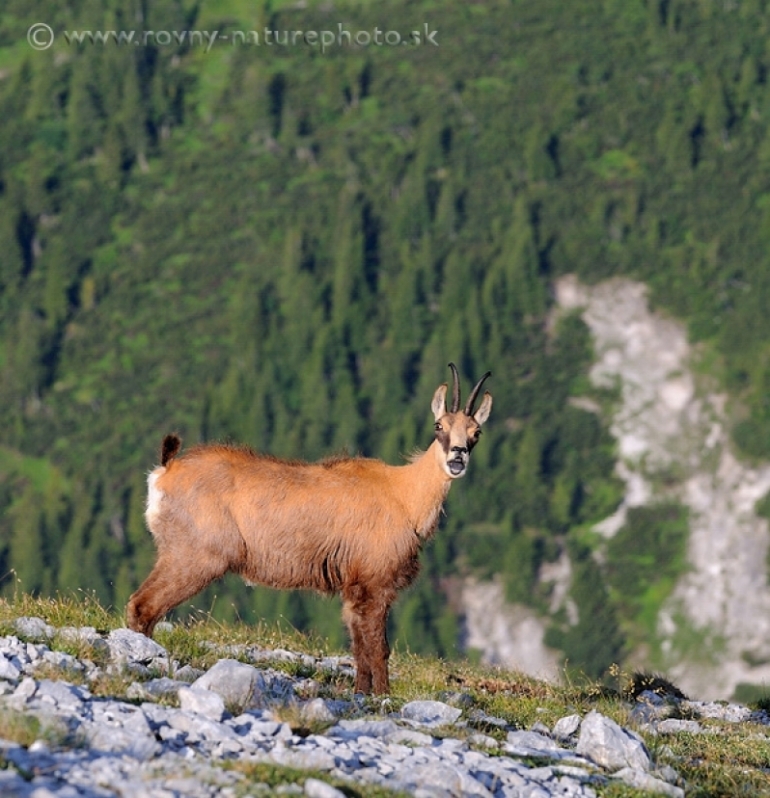 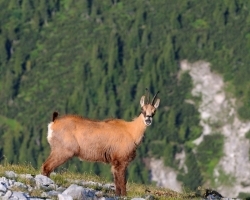 Chamois are active in the morning and look for fragrant herbs to dazzling alpine meadows. 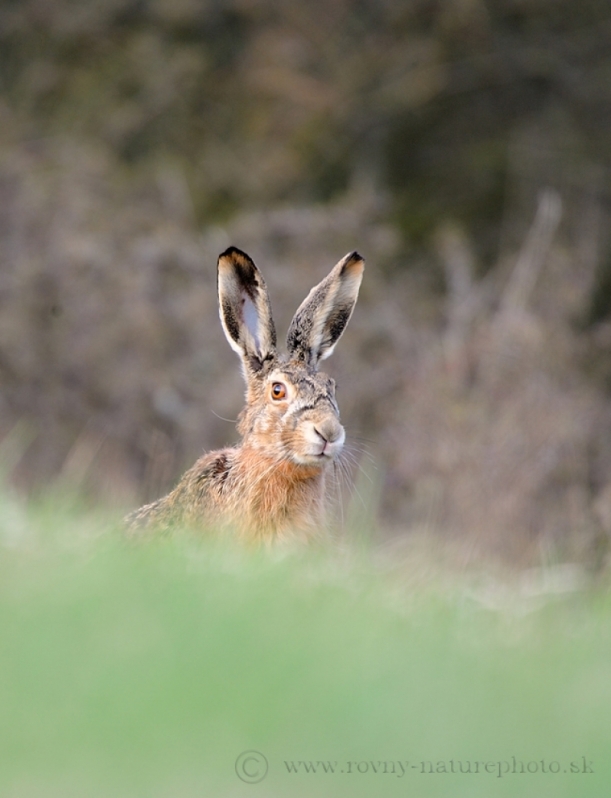 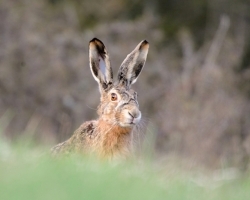 Meeting with the brown hare on the Carpathian meadows delight, because it is not so common here. 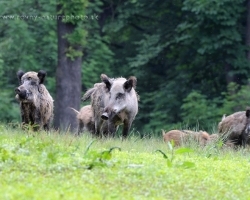 For him are here are so many enemies. 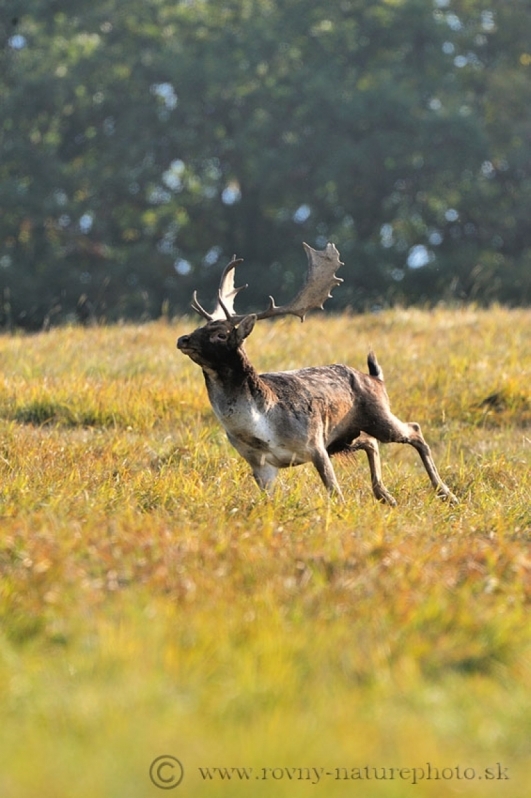 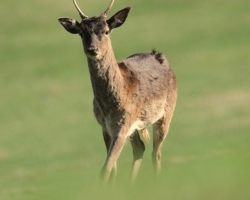 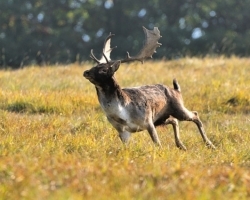 Young fallow deer graze on the rest of last year's grass. 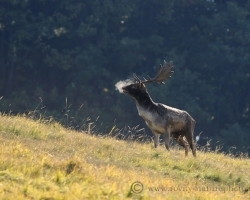 Wind it has not yet produced any report. 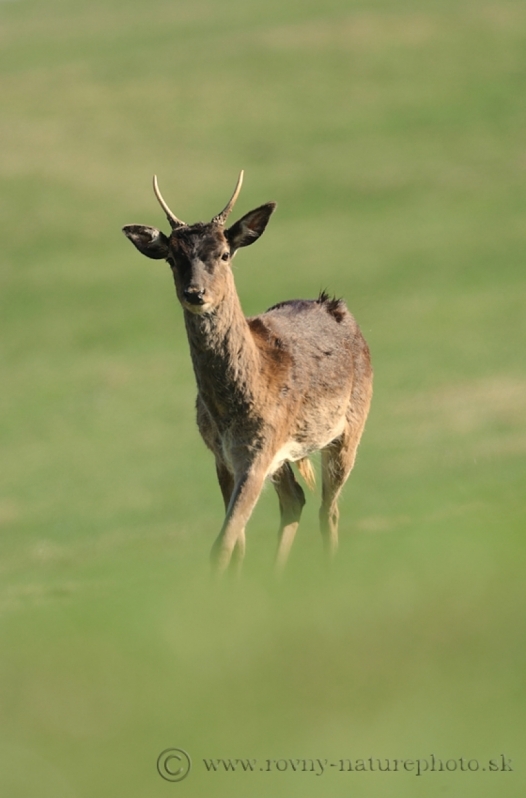 This young fallow deer come to look at me in the grass entirely. 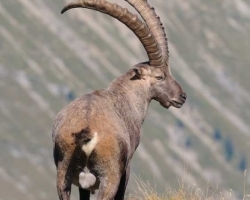 Lacking experience. 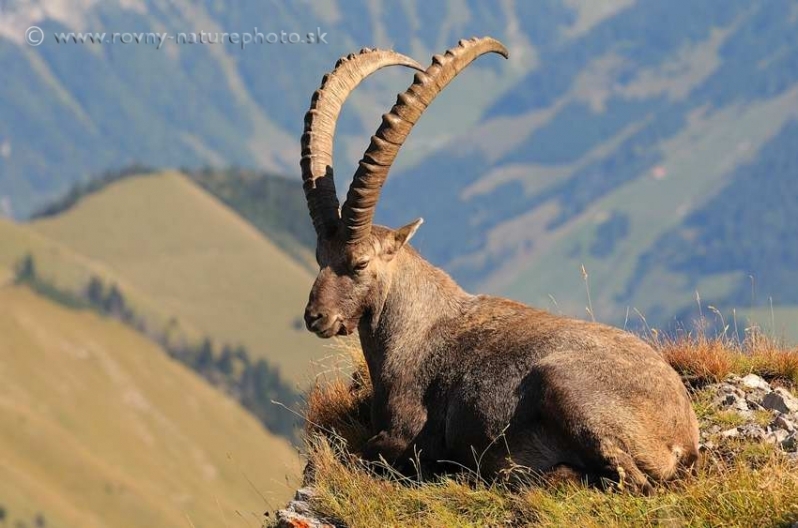 This time, harmless photographer, next time will be surely wiser. 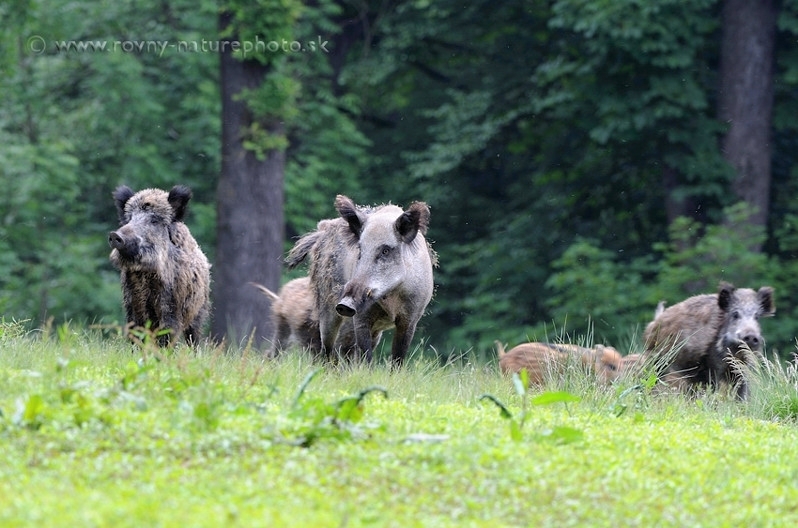 The leading wild boar followed the whole flock, one by one. 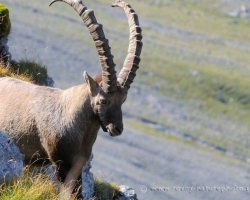 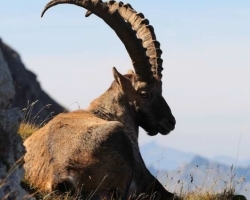 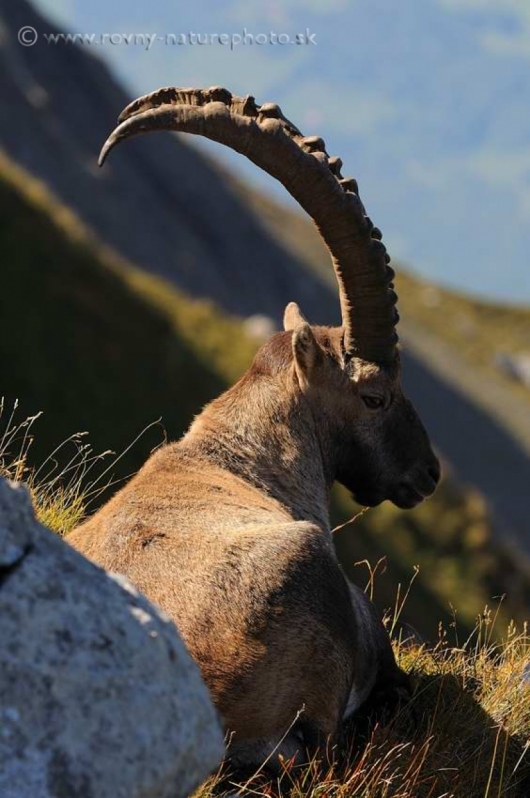 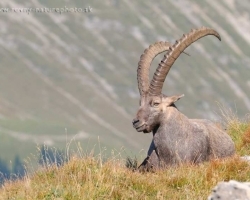 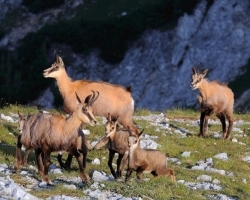 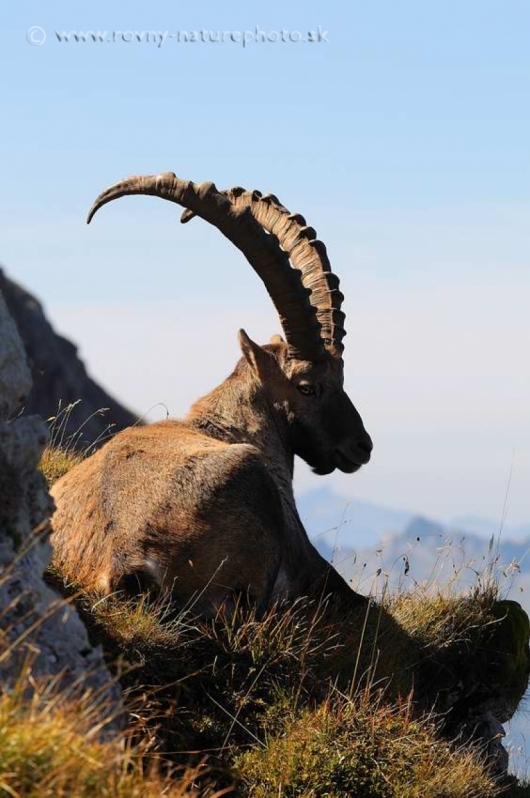 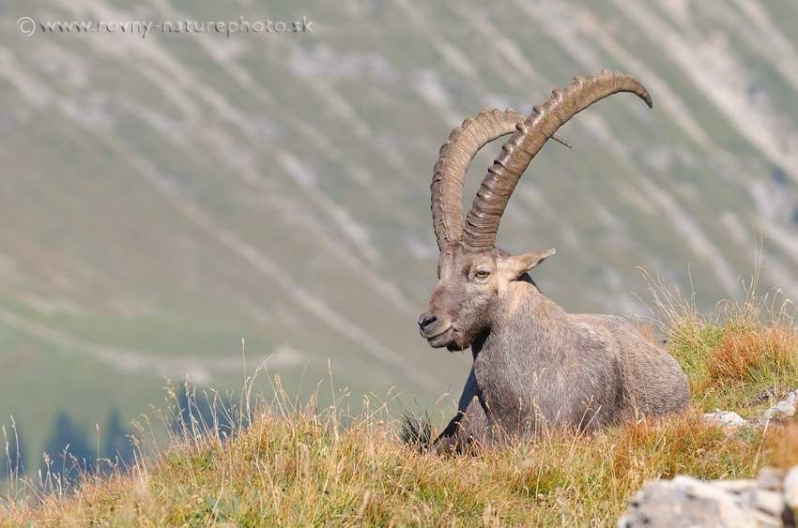 Alpine ibex from Le Vanil Noir, the jewel of the swiss Pre-Alps. 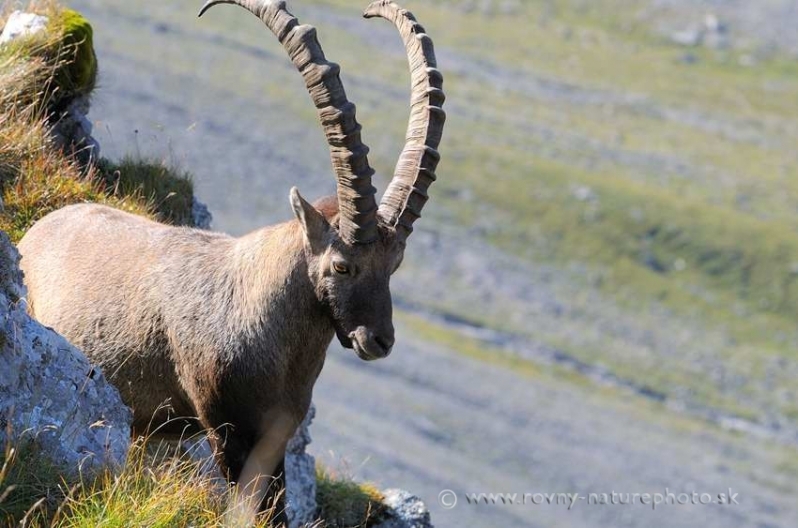 The dominant male guarding a herd seen from the elevated site high above the landscape. 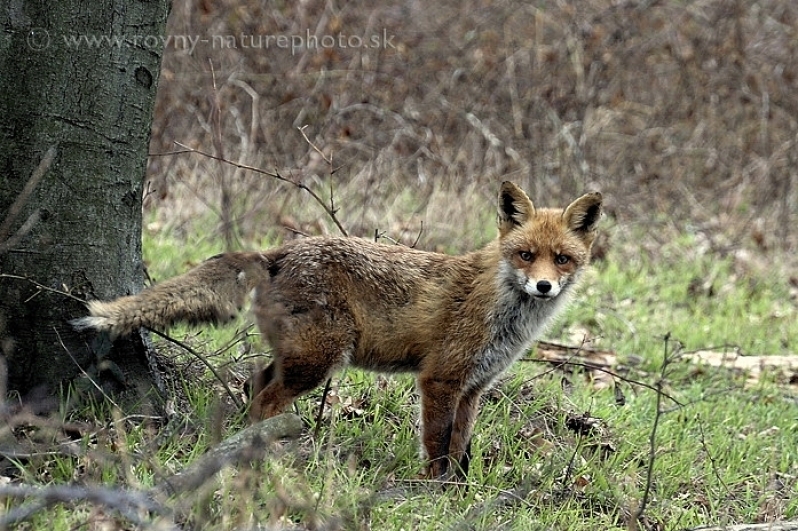 This fox cross my wandering path in the Little Carpathians. 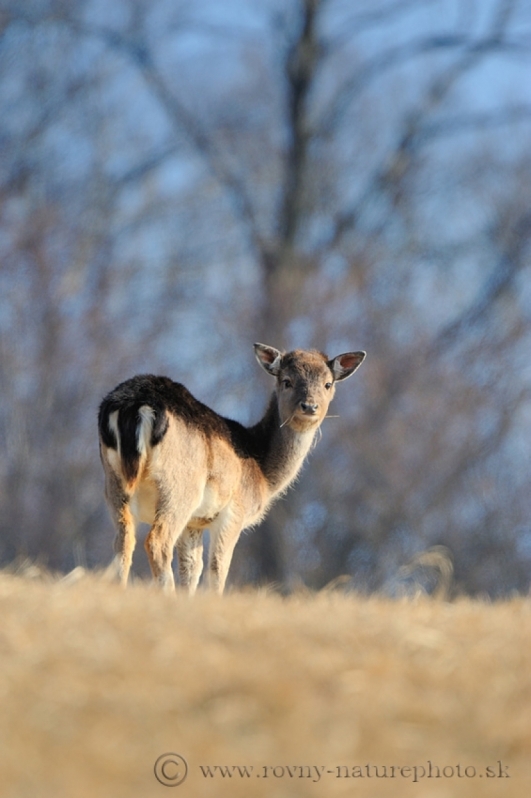 She was so impressed by any trace of that came a few steps before she saw me. 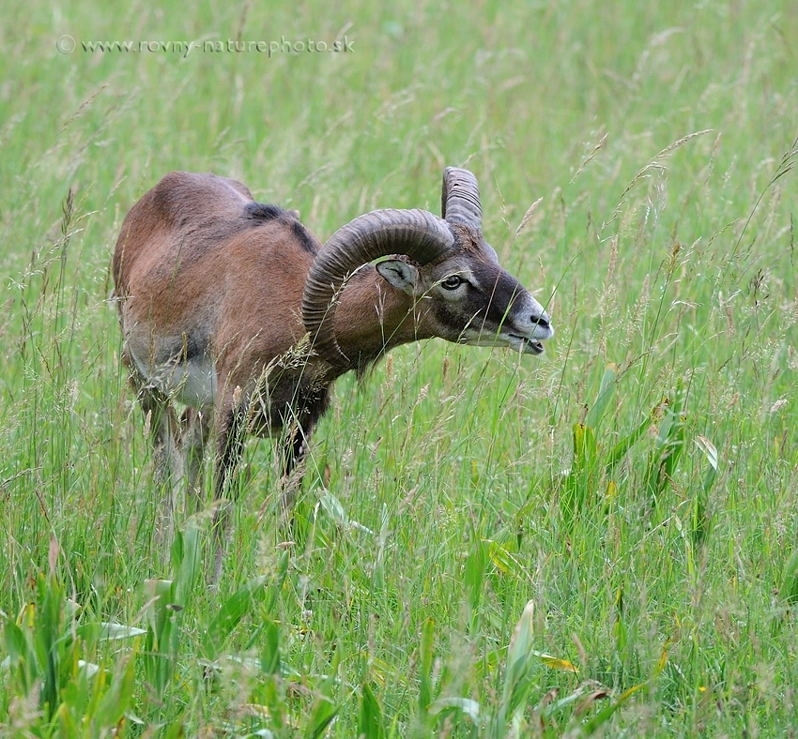 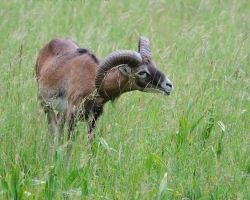 This mouflon in the morning grazing near my hiding on grass meadow of the Little Carpathians. 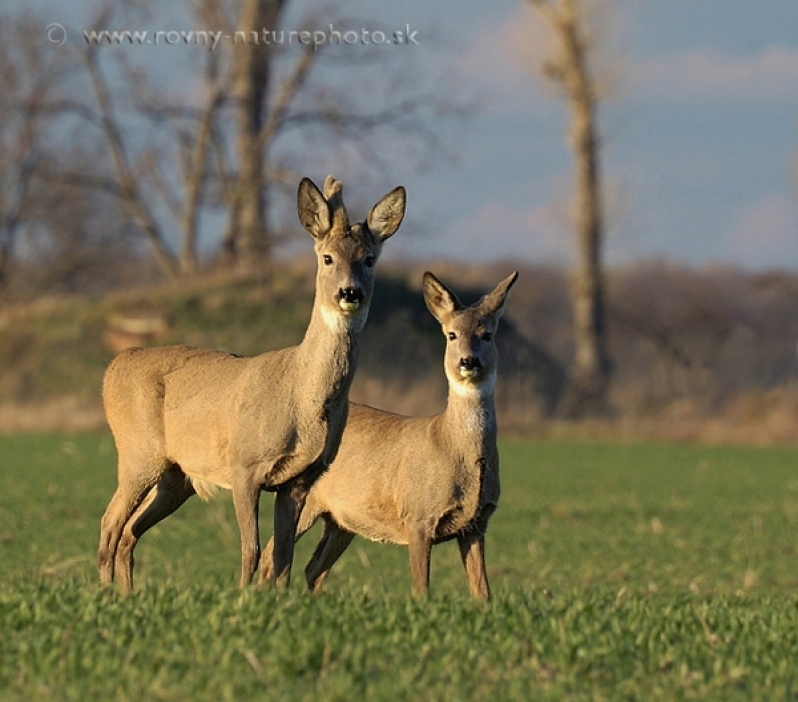 Roe deer couple viewing a monster lying in a field (me) in their vicinity. 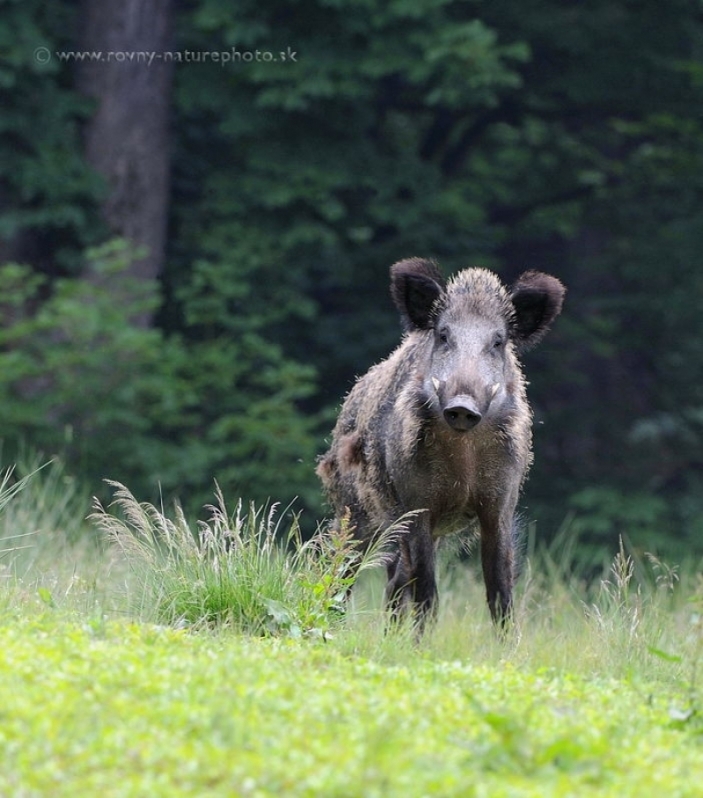 Carefuly watching this wild boar its territory. 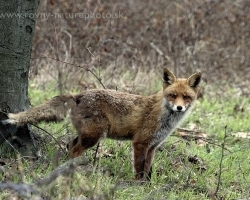 Perhaps feels that there is no danger for it. 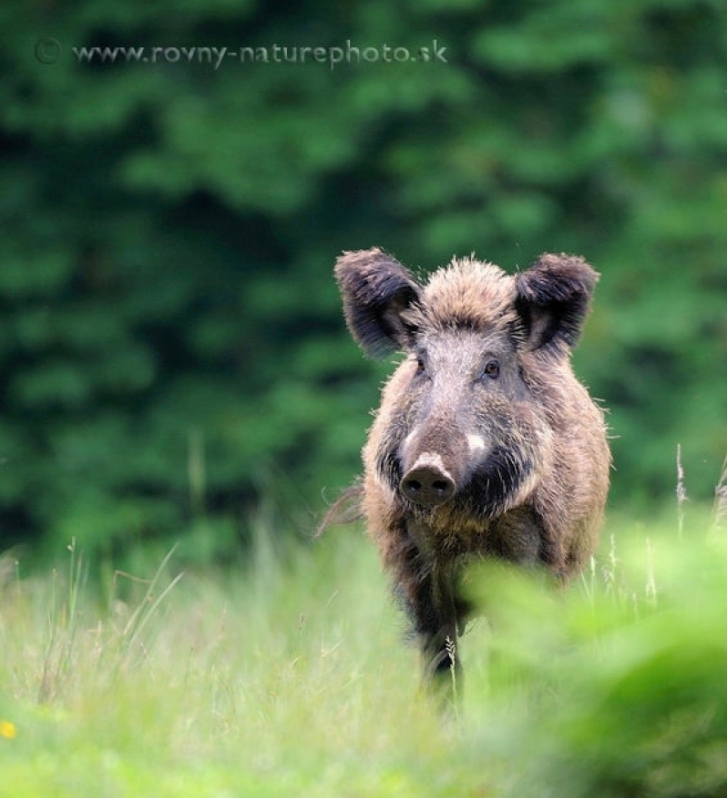 When I walk cross the White Capratians hills wild boar run wild boar from the forest and rush through the meadow away from the lens. 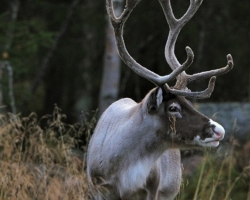 Interestingly, according to information received from natives are this wonderful animals living in most of Norway and Sweden only in captivity or semi-wild. 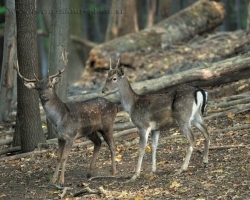 Enough specimens / as thouse on the photo / are still wandering through the nature, but are usually identified and registered. 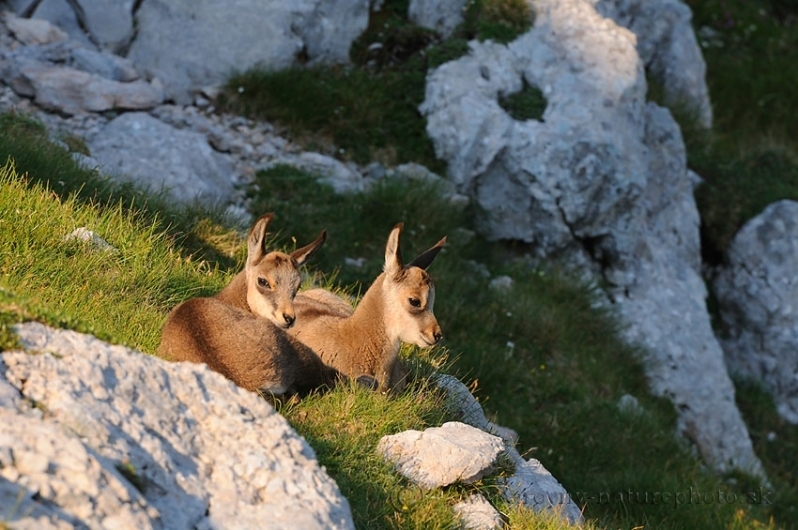 This we saw from the car. 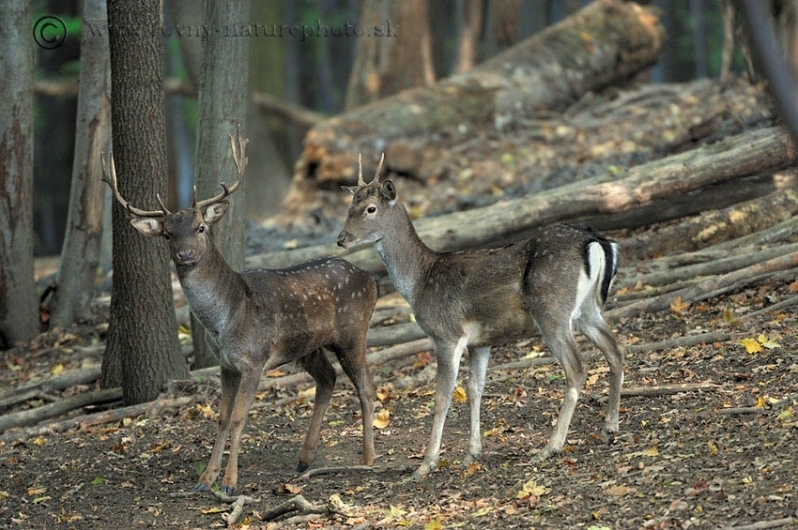 They allow us to come relatively close. 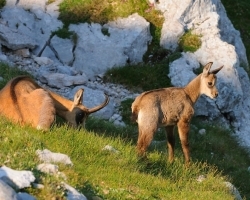 Completely wild animals are generally only in the parks. 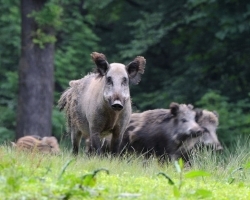 But we are not lucky to meet them there and take photos. 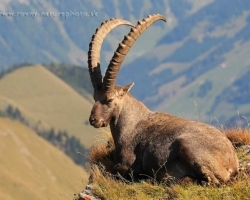 Much we want to meet such beautiful animal somewhere in the nature park. 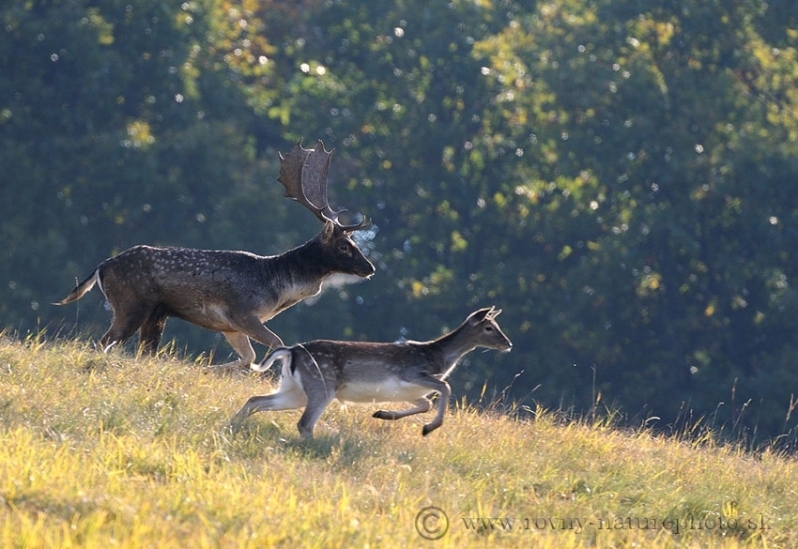 Finally, we were glad that we have photographed at least of such holding to the slide. 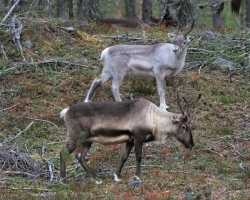 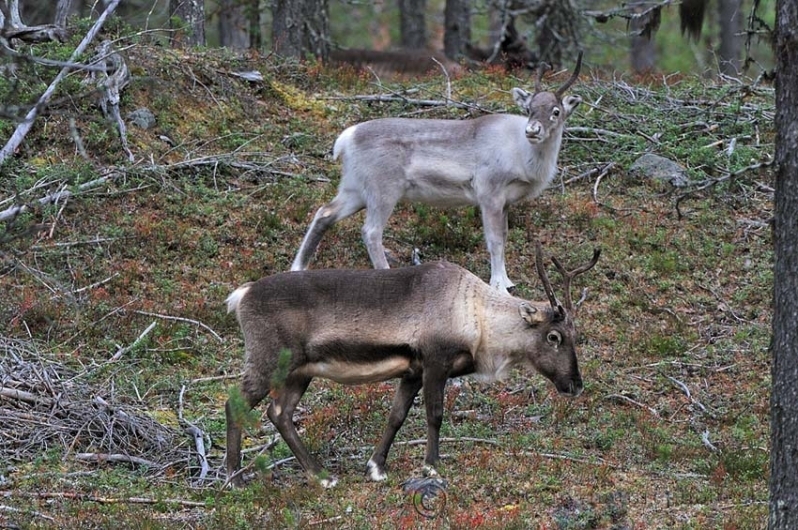 We have come across throughout Norway but we saw the reindeer first in Sweden. 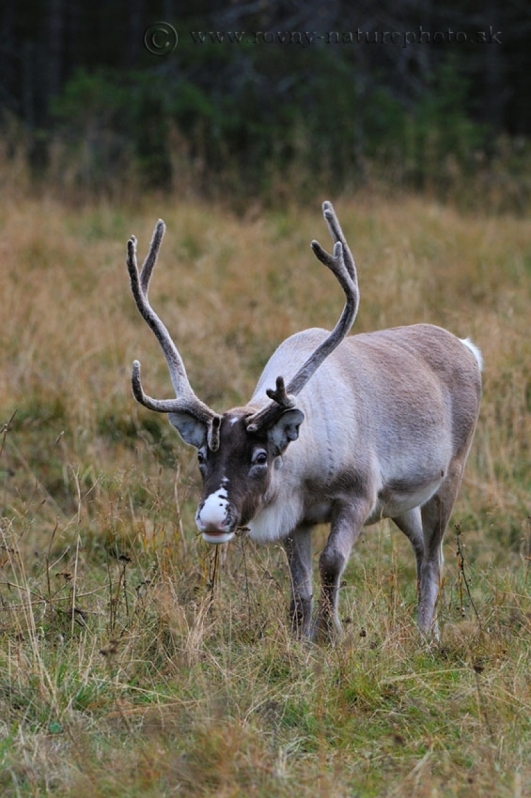 This was kept for the purpose of pulling sledges in the winter. 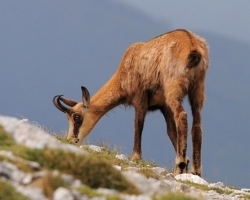 Alpine meadows crate reech offer of aromatic herbs for chamois. 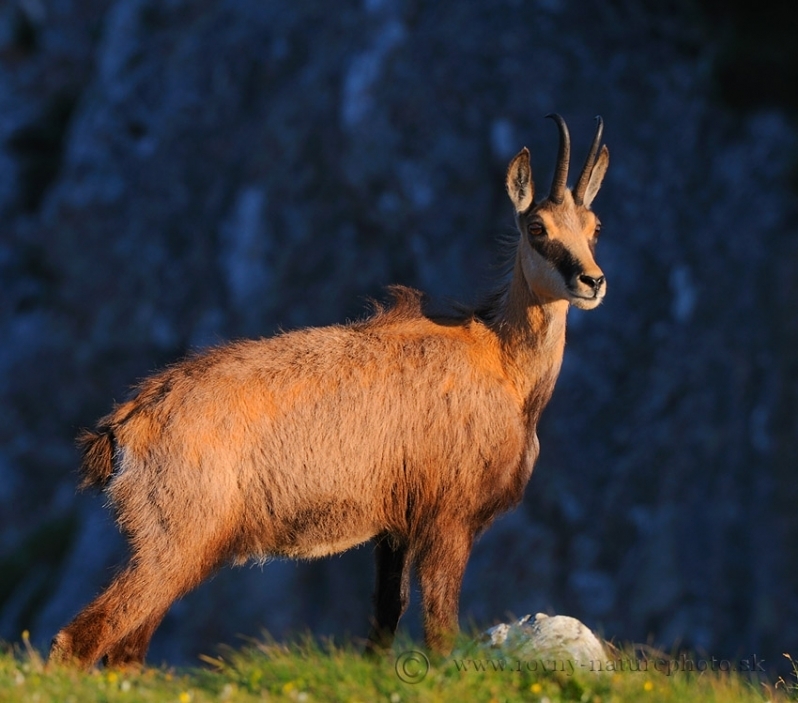 Young chamois explores fabulous mountain world around. 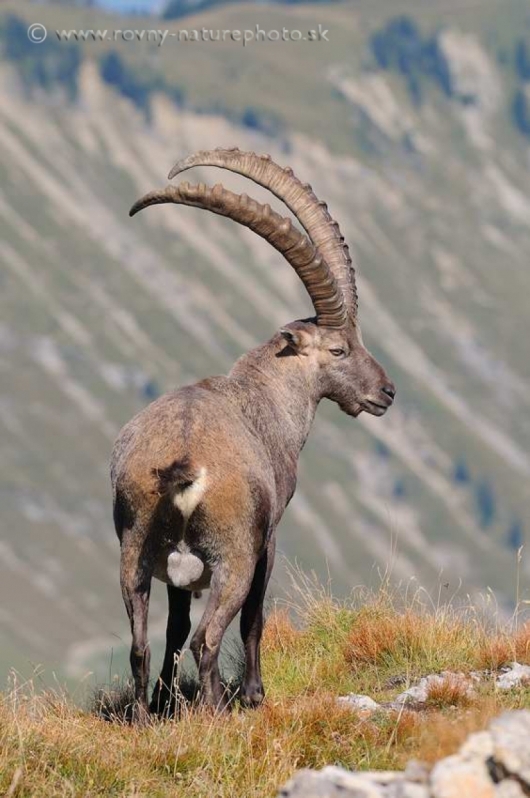 Every day in the Alps brings him a lot of surprises. 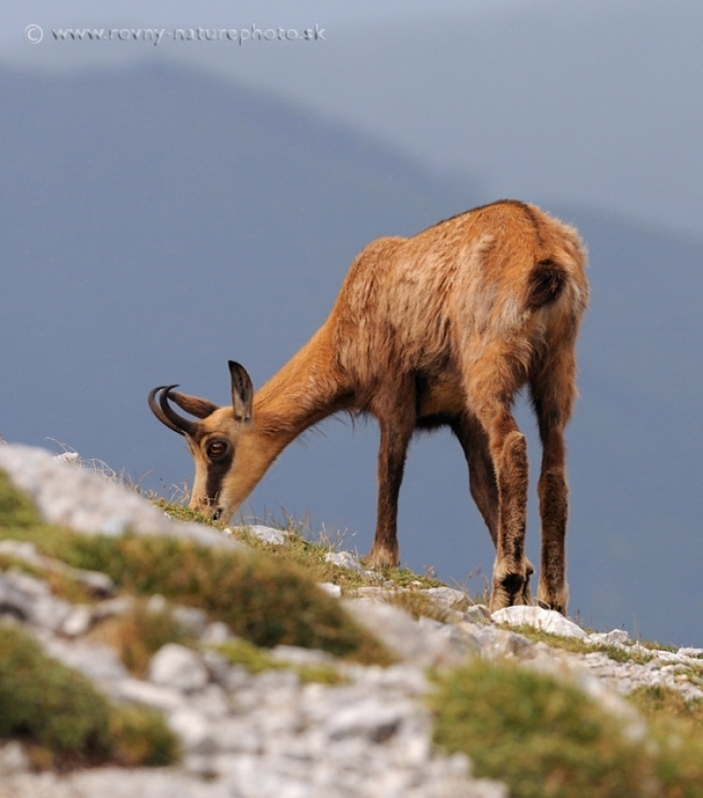 Herd can graze, leader beware. 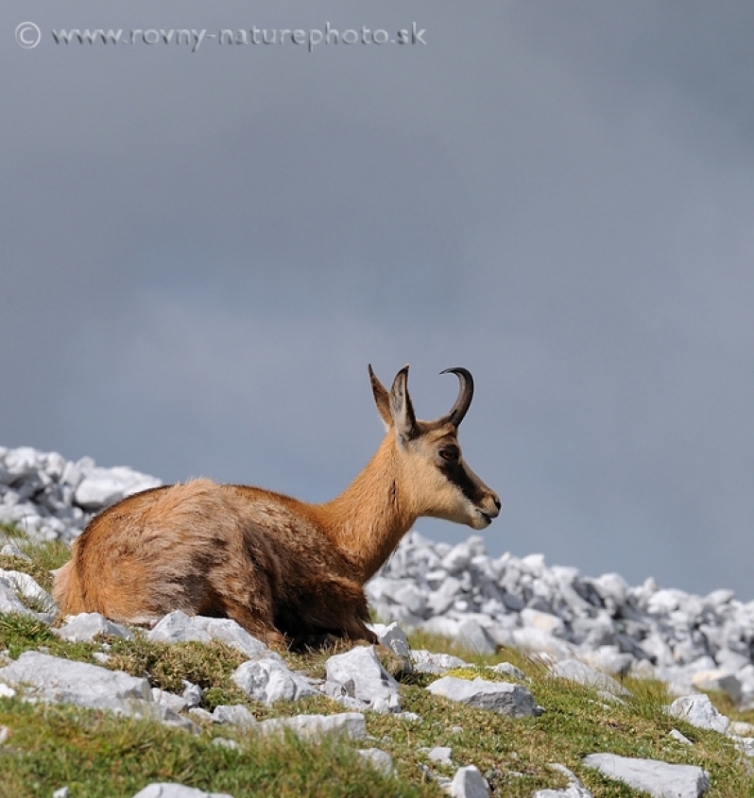 Chamois are always close to heaven, they are charming creatures. 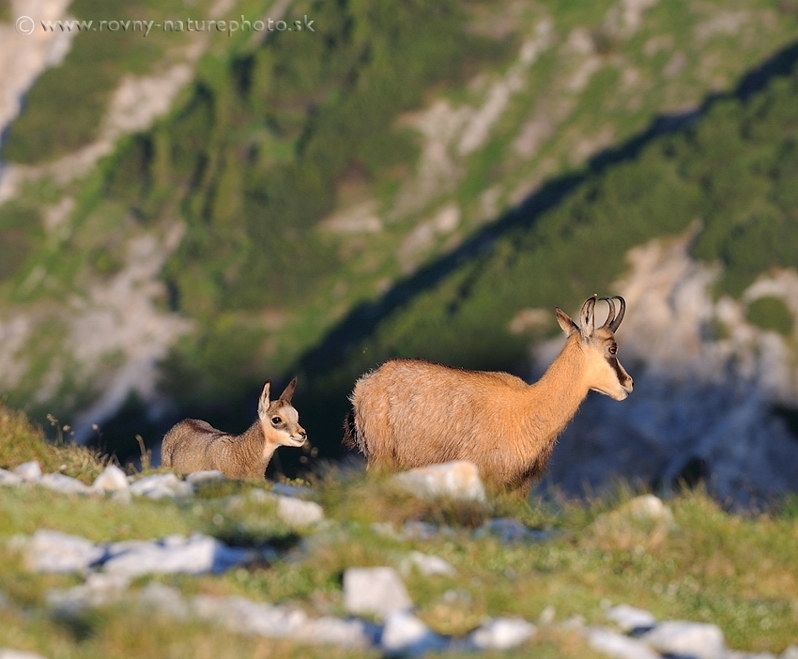 In the valley is still dark, but on the top are chamois grazing on the the dewy grass in the first rays of the sun. 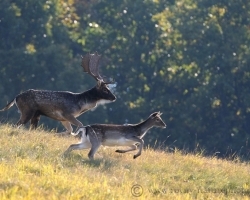 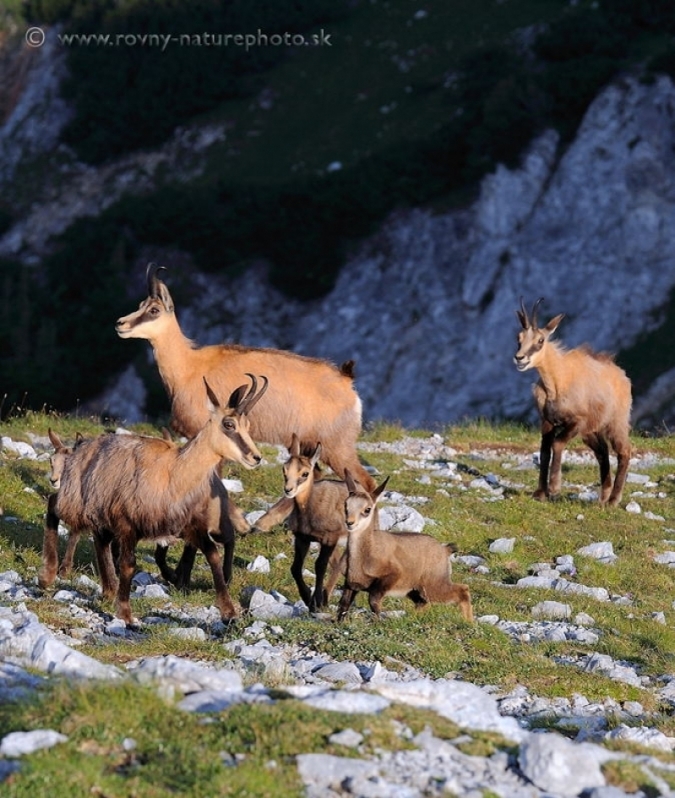 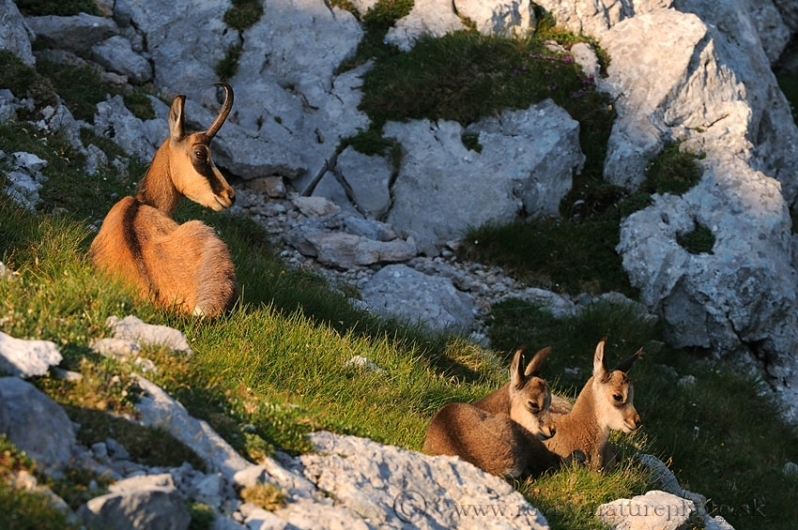 Photo captures family of the chamois in the early morning games. 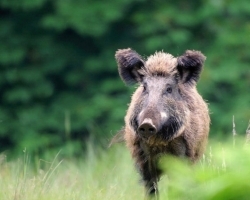 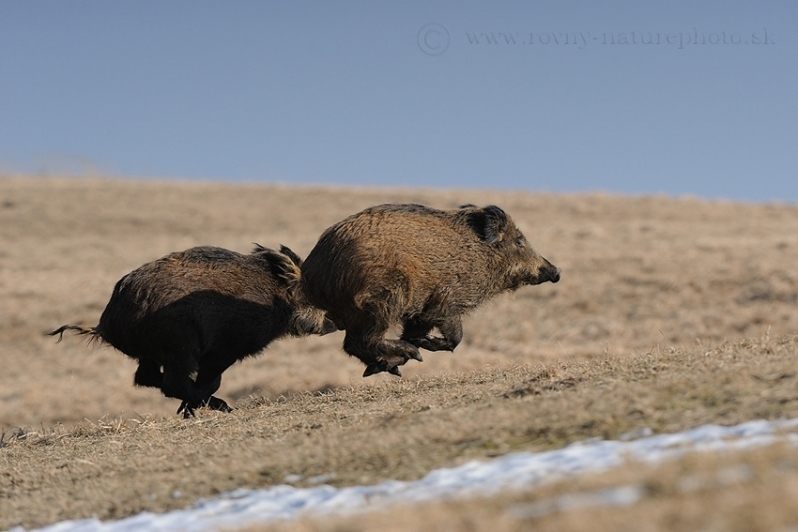 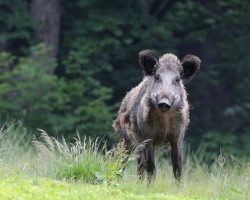 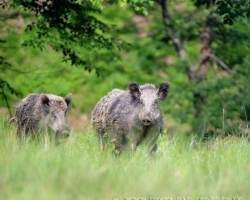 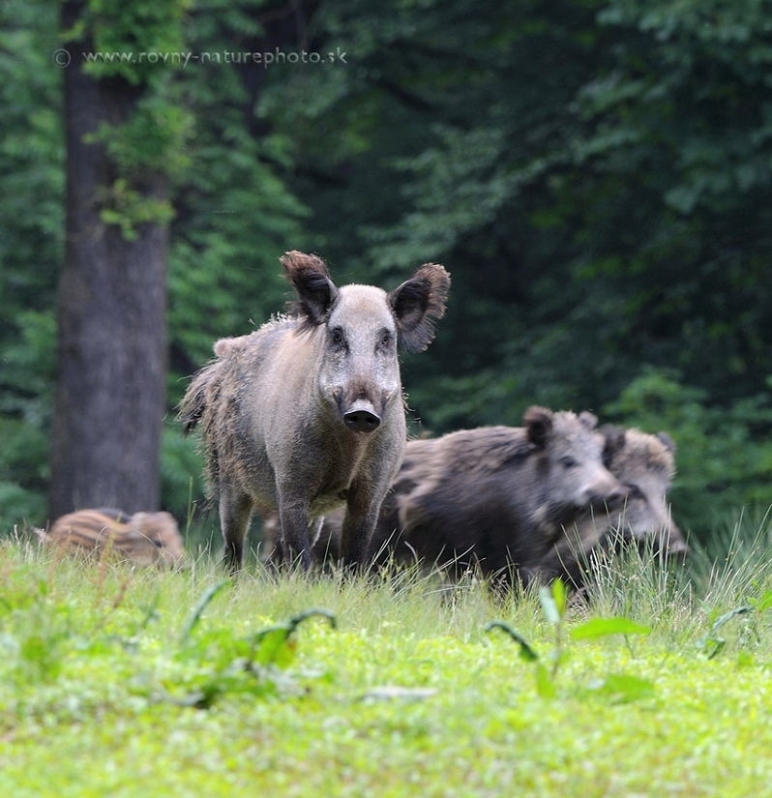 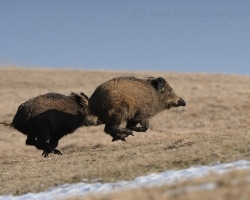 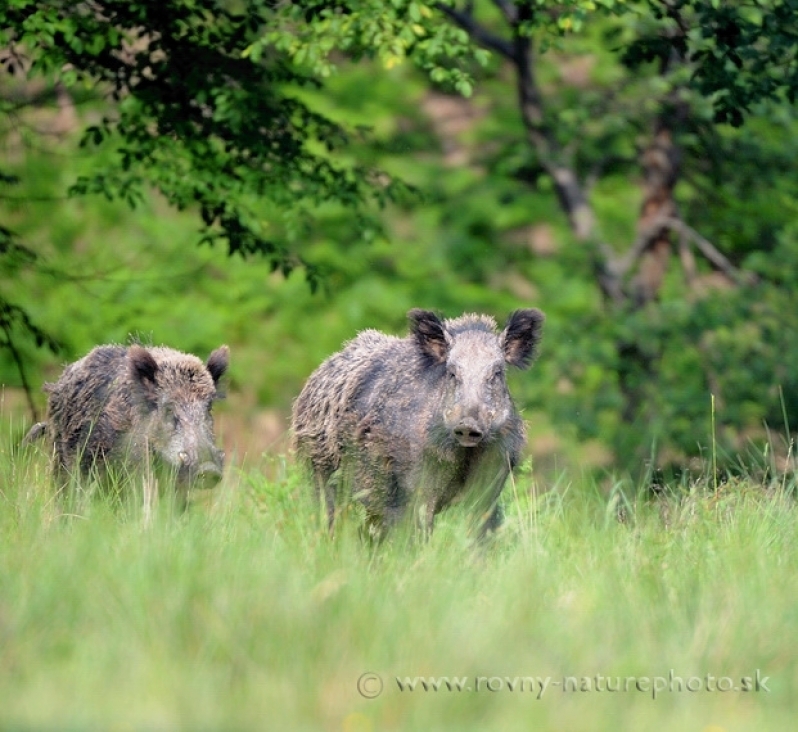 Wild boar are usualy concentrated in the group. 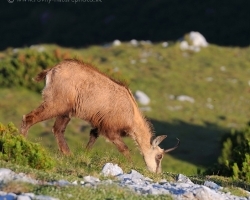 Exceptions are old males who are loners.